Christina Duffy Ponsa-Kraus is a legal historian whose work focuses on the constitutional and international legal history of American empire. She is the co-editor (with Burke Marshall) of Foreign in a Domestic Sense: Puerto Rico, American Expansion, and the Constitution (2001), and the author of several articles and essays on the constitutional implications of American territorial expansion. Christina Duffy Ponsa-Kraus served as a law clerk to Justice Stephen G. Breyer on the United States Supreme Court in the October 2004 Term and to Judge José A. Cabranes on the Second Circuit Court of Appeals in the August 2000 Term. 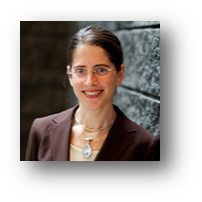 She joined the faculty at Columbia Law School in 2007, and is currently at work on a constitutional and international legal history of the American empire in the late 19th and early 20th centuries. Foreign in a Domestic Sense: Puerto Rico, American Expansion, and the Constitution (Durham, NC: Duke University Press, 2001). Co-edited the volume and co-authored the introduction (with Burke Marshall). A Guarantee Clause for the Americas: The United States in Cuba, 1898-1902 (forthcoming, Constitutional Commentary). “Los Casos Insulares: Doctrina Desanexionista,” 78:3 Revista Jurídica Universidad de Puerto Rico 661 (2009) (with Adriel Cepeda Derieux). “When Statehood Was Autonomy,” in Gerald L. Neuman & Tomiko Brown-Nagin, eds., Reconsidering the Insular Cases: The Past and Future of the American Empire, a publication of the Harvard Human Rights Program Series (Harvard University Press, 2015). “Empire and the Transformation of Citizenship,” in Alfred W. McCoy & Francisco A. Scarano, eds., Colonial Crucible: Empire in the Making of the Modern American State (Madison, WI: University of Wisconsin Press, 2009). Académica Correspondiente (“Corresponding Academic”), Academia Puertorriqueña de Jurisprudencia y Legislación (named in February 6, 2011). Public Interest Faculty of the Year, Columbia Law School (2011). Honorable Mention, William Nelson Cromwell Dissertation Prize (2011).